This book provides parents with a comprehensive, scientifically-based guide to the facts, myths, problems, and solutions associated with raising a vaccine free child. It helps parents protect their children both from the wiles of the vaccine industry and from harmful germs. There are no trendy anti-vaccination myths in this book. The information is fully referenced and factually based. The book explains the difference between the childhood diseases, such as measles and mumps, which are self-resolving and do not need intervention, and the non-self-resolving infectious diseases, such as polio and tetanus, which do need intervention. It describes how to bring children safely through the childhood diseases, and reveals why doctors and nurses are trained to use interventions that cause complications like encephalitis, pneumonia, and death. It also discusses the prevention and treatment of the infectious diseases that do not resolve themselves. The author presents scientific studies which show that when the childhood diseases are properly managed, they reduce the risk of chronic diseases, like cancer and heart disease, in later life. A detailed chapter on the myth of "herd immunity" empowers parents to withstand the accusation that vaccine free children pose a threat to others. There is also information about the toxic ingredients and biological contaminants in vaccines. The book elaborates on the failure of the vaccine industry to assess the long-term adverse effects of vaccination, despite having had over two centuries in which to collect such data, and demonstrates that even today vaccines are not scientifically tested for safety before being licenced for use on the public. The long-term consequences of vaccination have not been properly assessed at any time in any country. A look at the history of vaccination reveals that it is an unscientific procedure that is based on falsehood, cruelty, and supposition. 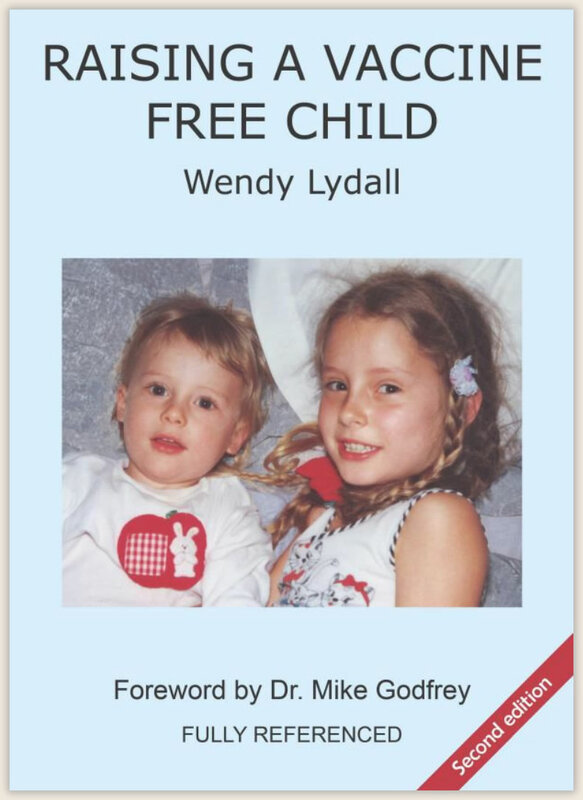 I read Wendy's book Raising a Vaccine Free Child when the first edition was published, and I immediately recognised it as an essential piece to fill a huge gap in the vaccine awareness literature. Wendy's meticulously researched book addresses the many worries we experience when our children get sick, and she offers concrete, practical advice about the ways we can help our kids get through. The book is really a dual purpose book. Wendy meticulously deconstructs the myths of vaccination, and she also empowers parents with information about infectious diseases that helps to dispel fear. Wendy's book was one of my first when my eyes were opening and it was very helpful. I recommend it often.